All the books we study on the General Program, Foundation Program, and Teaching Training Program, are commentaries to Je Tsongkhapa’s teachings. 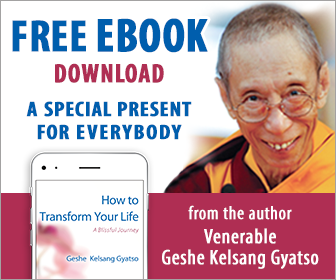 They clarify Je Tsongkhapa’s teachings and explain how to practice and integrate them into our everyday life. They are a special presentation, but in reality they are all commentaries to Je Tsongkhapa’s books. We are therefore studying Je Tsongkhapa’s teachings – and in doing this we are studying Buddha Shakyamuni’s teachings.